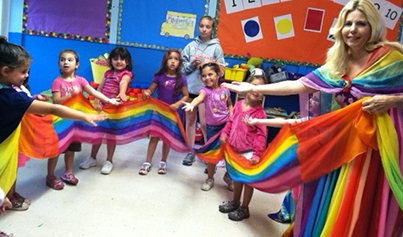 A magical, joyous experience with The Lady of the Rainbow where the children participate in her unfolding story and uplifting songs! 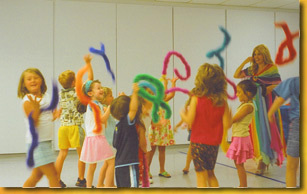 Using vivid hand and body movement, the children feel the momentum and joy of growing and learning in The Tree of Life, a lively song focusing on believing in yourself, taking one step at a time, and reaching out to one another. Every child plays a musical instrument during It’s Up To You and Reach For Your Dreams, songs that reinforce character values, making the most of every day, and believing in yourself. In Your Heart Lives A Rainbow and Fountain of Joy, which encourage the joy of sharing and being connected to each other. 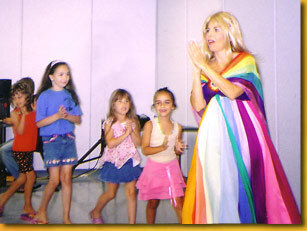 During the song All Hearts United, each line is sung in a different language while the children learn hand motions that convey each message.